You know it don’t come easy. And it seems like the older I get, the harder it becomes. No matter what the subject, nothing is easy. I thought things were supposed to ease up as you got older, but that doesn’t seem to be proving out, at least as far as I can see. And you know it don’t come easy. Yessir. you got to pay your dues, indeed. We all have to, but it’s the spirit in which we do so that counts. We can either carry our burdens cheerfully, or complain about them all the way to the end. I think Glenn Frey said it best when he sang “Don’t let the sound of your own wheels drive you crazy.” You just have to keep on keepin’ on. It will soon be over tomorrow. Ringo Starr – born Richard Starkey – certainly has carried his burdens with a seemingly constant smile on his face. Ringo was always my favorite Beatle. Constantly shoved in the background and often maligned as a poor drummer; I always considered Ringo the “court jester”- and biggest personality – within the group. And you know it just ain’t easy. 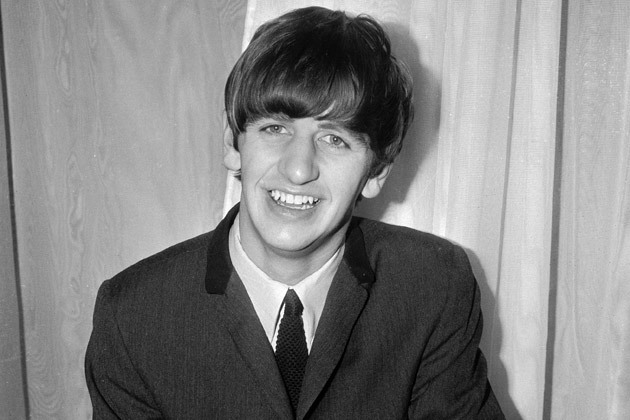 Ringo overcame two life-threatening illnesses as a child, putting him behind in school and giving him the appearance of not being the smartest guy (it was said that at age 15 he could still barely read or write), but his open smile and warmhearted approach to life won people over. “It Don’t Come Easy” was the first hit for Ringo’s post-Beatles, solo career, reaching #4 on the US and UK charts, later followed by #1’s “Photograph” and a great cover of Johnny Burnette’s 1960 hit “You’re Sixteen”. From 1970-73, Ringo actually had more solo success than any of the Beatles, charting seven straight Top 10 singles. Ringo’s first solo album, Sentimental Journey, filled with covers of old standards like Cole Porter’s “Night And Day”, Hoagy Carmichael’s “Stardust” and Johnny Mercer’s “Dream” was recorded in 1970 as a gift of appreciation to his mother. Paul McCartney, Quincy Jones and the Bee Gee’s Maurice Gibb (among others) contributed arrangements on the record. If you have never heard it, I highly recommend a listen. But it was Ringo’s third album, the self-titled Ringo, that truly turned the tide and made him a solo star. With the aforementioned top hits and contributions from all of the other ex-Beatles, as well as greats like Billy Preston, Jim Keltner, Tom Scott, Steve Cropper, Harry Nilsson and The Band’s Robbie Robertson and Levon Helm, it was bound to be a huge hit and ultimately went Platinum in sales. If you’re big enough to take it. In the mid-’80s, Ringo provided the voice for the narrator and Mr. Conductor in the children’s TV series Thomas The Tank Engine. Ringo was naturally left-handed, but played a right-handed drum set. His grandmother helped him become ambidextrous by teaching him how to write with his right hand as a schoolboy. On some Beatles’s tracks, it was Ringo’s idea to cover the tom-toms with dishcloths and blankets to produce the desired sound. Ringo was the oldest Beatle. Yup, Ringo was always the most unassuming of the Fab Four, though maybe one of the most well-rounded when you throw in his acting and dancing talents. It’s only fitting that Ringo was the last of the ex-Beatles to be inducted into the the Rock and Roll Hall of Fame (earlier this year). And just as appropriately, the only other living ex-Beatle, Sir Paul McCartney himself, did Ringo’s induction speech. 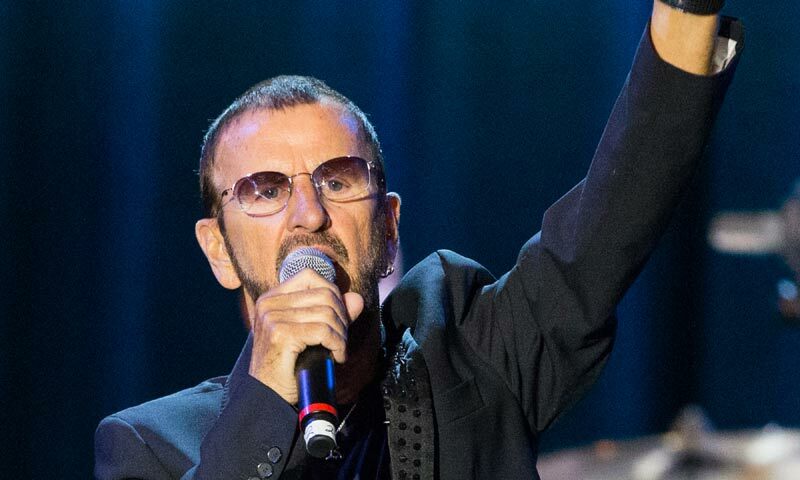 Ringo keeps on keepin’ on; touring and singing both his, and his fellow Beatle’s songs, and “It Don’t Come Easy” will always remain among my favorites.